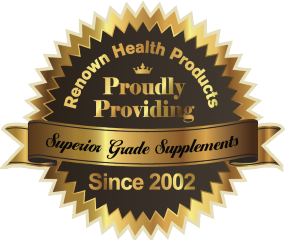 Renown Health Products (RHP) is committed to research and to developing a growing portfolio of best-in-class, physician-developed, natural health supplements designed to provide our customers with a better, healthier, and longer life. RHP is proud to offer some of the best-known and most highly regarded products on the market. 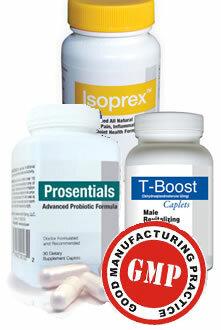 You may recognize some of our top products as Revatrol™, T-Boost™, Isoprex™, Prosentials™, Oraescin™, Youthful Allure™, and Lexitrol Ultimate™. Our Physician Advisory Board is led by Dr. William S. Gruss, MD, who is Board Certified in Internal Medicine and has been in private practice in Boca Raton, Florida since 1986. We use the highest quality and concentration of powerful ingredients to create products that are naturally safe AND proven effective. As a socially-responsible company, RHP does not perform any animal testing in any of its research and development. At RHP, our focus is to fulfill the needs of our customers, providing them with the best products and service possible. In pursuit of this, we strive to provide the highest standards of business ethics and personal integrity. As part of our personal commitment to our customers all of our products come with our 100% Satisfaction Guarantee.